The word “advent” is a real Prabhupada word. In his books, lectures, letters conversations etc. it appears around 200 times. Srila Prabhupada even has the Bg. 4.8 verse read to him on a few occasions, and he does not object to its wording. Why would he, since it was his own chosen words! 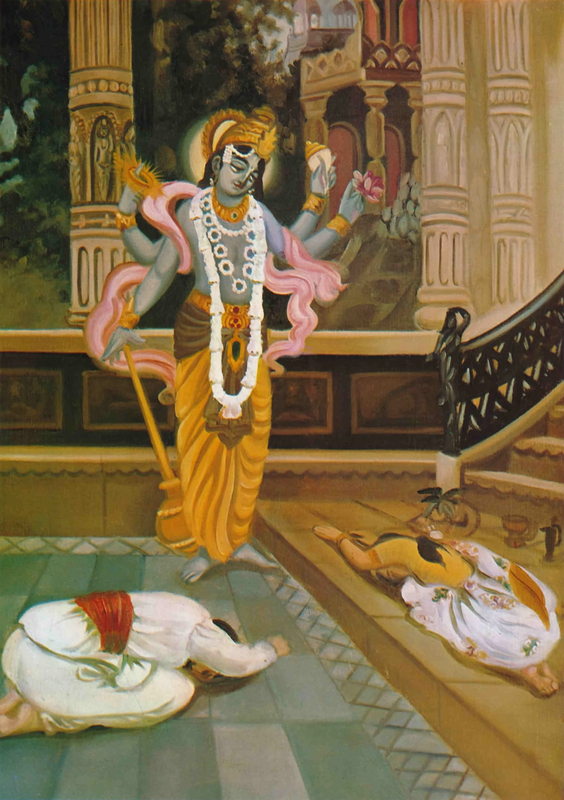 The Gitar Gan is Srila Prabhupada’s poetic rendition of Srimad Bhagavad-gita in the Bengali language. So far Gitar Gan has never been translated into English. Online we find a version with the original Bhagavad-gita verses added as a translations (here). On the Vedabase we find a version with BBTI’s edited verses added as translations (also available online). Both are without English word-for-word meanings. Obviously, none of these are precise translations, since Srila Prabhupada’s Gitar Gan is a poetic rendition and not a literal translation of the Gita. I would humbly like to submit that there is a GREAT need for a literal English translation of Gitar Gan. tomara: your (can be found 1000+ times in Caitanya Caritamrta). ei: these (can be found 2000+ times in Caitanya Caritamrta). mukhe: mouth/in the mouth/on the mouth/and more (found many times in Caitanya Caritamrta). TRANSLATION: “Your blazing/firing/flaming mouths” (made with the help of several bengali speaking devotees found on facebook). Anyone who does not agree with this translation, please give us your opinion. Is Arjuna a “coward” or is he “insignificant”? Many such questions could be answered if we had an English translation of Gitar Gan. IMPORTANT: I am not suggesting that we can change in the original Bhagavad-gita As It Is by referring to Gitar Gan. But we might be able to expose many of the needless and offensive changes made by Jayadvaita Swami. 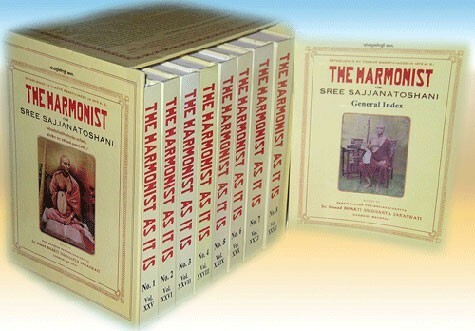 An English translation of the Gitar Gan is therefore an urgent need. I urge anyone who reads this to help find some qualified Bengali speaking devotees who can and will take up this important task. Please contact me if you have idea ideas on how to procede with this project. There is no verse for 11.28 as the page is missing. But verse 30 mentions the words “blazing mouths”. In Srila Prabhupada’s original 1972 edition the adjective “blazing” describes the plural noun “mouths”. In BBT International’s 1983 edition the adjective “blazing” describes the plural noun “warriors”. 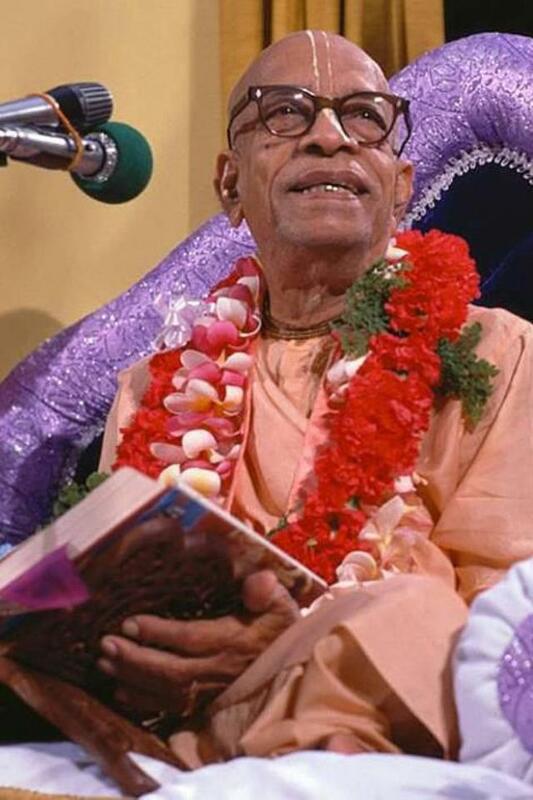 So which translation is grammatically correct – Srila Prabhupada’s or Jayadvaita Swami’s? We see that Srila Prabhupada describes the mouths of the universal form as “blazing” (Bg. 11.28) and “flaming” (Bg. 11.30), and compares them to a “blazing fire” (Bg. 11.29). There is no “original manuscript” available for Bg. 11.28-29, but the “original manuscript” for Bg. 11.30 also says “blazing mouths”, as mentioned above. The painting above this article is Plate 31 from the Bhagavad-gita As It Is. Just like all other paintings in the book it was approved by Srila Prabhupada. On the painting we clearly see that the warriors are entering into the blazing mouths of The Universal Form – just like we are told that they are in the Bg. 11.28, 1972 edition. Based on the above, there is no doubt at all that Srila Prabhupada wanted to use the adjective “blazing” to describe the mouths of the universal form. He never meant to say that the great warriors were “blazing”. Regarding the change in the translation of Bhagavad gita 11.28. The word “abhivijvalanti” is in the 1972 edition taken as what in grammar is called a verbal adjective or a participle. A participle is basically a derivative from a verb but belonging in the group of adjectives. This particular participle is a participle in present tense, active voice for parasmaipada verbs. It is in neuter gender, plural number and in the accusative case which clearly indicates that it relates to “vaktraani” which is also in neuter gender, plural number and accusative case. Sridhara Swami, Visvanath Cakravati Thakur and Baladeva Vidyabhusana have the same grammatical conclusion of this word as a participle and therefore in relation to “vaktraani” attributively, “blazing mouths”. The “anti” ending in “abhivijvalanti” could preliminarily appear as a finite verb 3rd person in the plural number and present tense related to “nara-loka-viira” (the kings of human society), but this conclusion is in the least very strange. It would, if accepted, be a distortion of historical facts and it must be concluded faulty because this sentense already has a finite verb namely “visanti” meaning entering. So if we for the sake of example maintain “abhivijvalanti” as a finite verb, as it is done in the 1983 edition it would translate “as the many waves of the rivers flow into the ocean, so all these great warriors enter and blaze your mouth”, since “abhivijvalanti” can also not be taken as an adverb describing “visanti” attributively. “abhivijvalanti” must be taken as a participle – as done by the previous acaryas and the original 1972 edition – and not a verb as done in the 1983 edition. 1. Srila Prabhupada is very clear in his original Gita and his manuscripts – the mouths are blazing. Not the warriors. 2. Srila Prabhupada follows the previous acaryas who says that the mouths are blazing (flaming, gnashing). 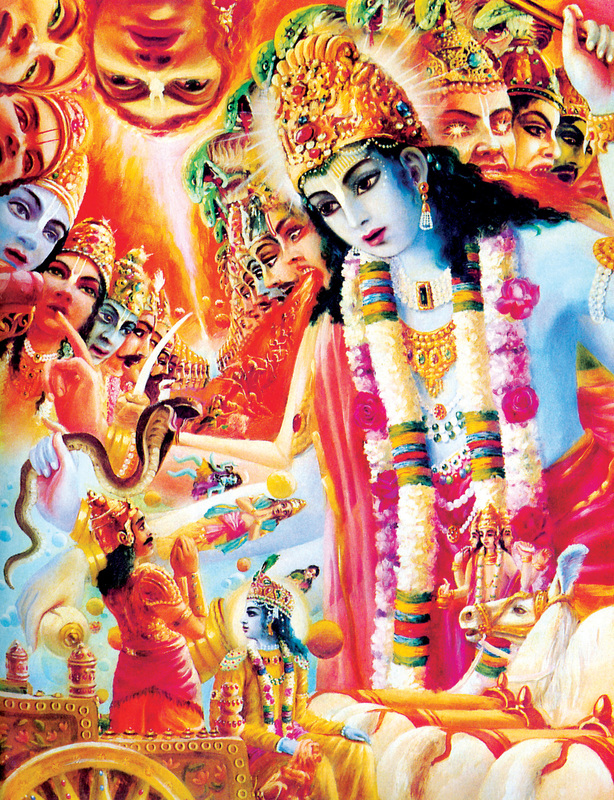 3 The painting depicting this event (Plate 31 in the Bhagavad-gita As It Is) shows that it is the mouths of The Universal Form that are blazing. 4. According to sanskrit grammer it is the “mouths” that are “blazing”. Not the “warriors”. Even if both translations could be correct (which they cannot), there would still be no justification – based on the above analysis – to change Srila Prabhupada’s translation of the verse. It would not be possible to do this without overriding his own editorial decisions and thus violating the arsa-prayoga principle. Please see additional evidence here. The Original and the manuscript agrees TO THE LETTER. Both the manuscript and the original says `You can know My spiritual nature´, whereas `Jas It Is´ says `he attains to My spiritual nature. The word-for-word says, ‘vetti’- know. The phrase, ‘no other performer‘ is not found in the original or the manuscript.